STANFORD, Calif. – The official player field for the Bank of the West Classic has been announced, and with the 2016 Olympic Games in Rio just a few months away, this year’s event will have an even greater international feel. Headlined by seven-time Grand Slam Champion and four-time Olympic Gold Medalist Venus Williams as well as current World No. 3 Agnieszka Radwanska this year’s player field boast 13 players ranked among the top-2 in their respective countries. Tickets for this year’s event, which will be held July 18-24 at the Taube Family Tennis Stadium on the campus of Stanford University, can be purchased online at www.mubadalasvc.com or by phone at 866-WTA-TIXS (866-982-8497). This will mark Radwanska’s seventh trip to Stanford. A finalist at the event in 2012, Radwanska reached the quarterfinals last year before falling to eventual champion Angelique Kerber 4-6, 6-4, 6-4 in what many considered to be the best women’s match of 2015. ABOUT THE BANK OF THE WEST CLASSIC: The Bank of the West Classic is the longest-running women-only professional tennis tournament in the world and is the first stop of the Emirates Airline US Open Series. 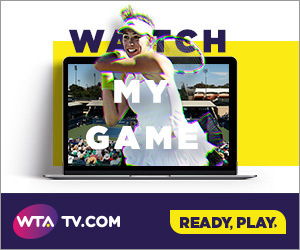 Owned and operated by IMG, the WTA Premier event features a 28-player singles draw and a 16-team doubles draw with total prize money of $753,000. Held on Stanford University’s campus at Taube Family Tennis Stadium since 1997, former champions include: Billie Jean King, Chris Evert, Martina Navratilova, Andrea Jaeger, Monica Seles, Martina Hingis, Lindsay Davenport, Serena Williams, Venus Williams and Kim Clijsters. ABOUT BANK OF THE WEST: Bank of the West is a regional financial services company chartered in California and headquartered in San Francisco with $77.2 billion in assets as of March 31, 2016. Founded in 1874, Bank of the West provides a wide range of personal, commercial, wealth management and international banking services through more than 600 offices in 23 states and digital channels. Bank of the West is a subsidiary of BNP Paribas, which has a presence in 75 countries with 185,000 employees.